Looking to get to York’s Keele Campus. Whether you’re coming by transit or driving, we can help! TTC has two new subway stations at the Keele campus – York University and Pioneer Village Subway Stations. The new subway stations provide the York community with easy access to and from downtown Toronto and the Regional Municipality of York/York Region. Read more about the subway stations on campus. All local TTC transit buses now service the Pioneer Village Station. For more information, please see the links below. 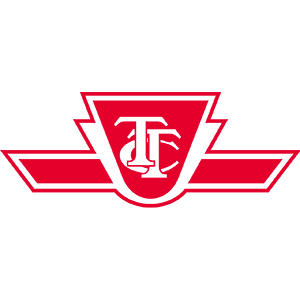 Visit Toronto Transit Commission – TTC for full schedules. 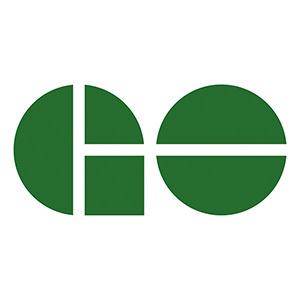 Bradford GO Train Service: Barrie – Bradford – East Gwillimbury – Newmarket – Aurora – King – Maple – York U – Union Stn. A free York shuttle transports passengers to/from the York Common to the York University GO Train Station. Visit GO Transit for full schedules. 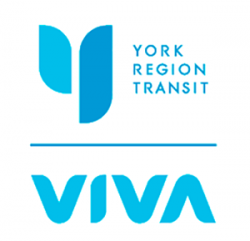 Visit York Region Transit/Viva for full route navigations. Brampton Transit’s Zum Bus Rapid Transit service runs along Queen Street from downtown Brampton to York University. Visit the Brampton Transit website for a map of the Züm Queen Street line (pdf). Visit Brampton Transit for full schedules. IMPORTANT: Due to the subway extension project, some of the main arteries into York are under construction. Consider exiting on JANE STREET and coming NORTH on Jane instead of Keele St. Follow Jane to SHOREHAM DRIVE. Turn RIGHT onto Shoreham and continue onto the campus. If you’re coming along FINCH AVENUE, use SENTINEL ROAD to access the campus. IMPORTANT: Due to the subway extension project, some of the main arteries into York are under construction. Consider exiting on JANE STREET and going SOUTH on Jane instead of Keele St. Follow Jane to SHOREHAM DRIVE. Turn LEFT onto Shoreham and continue onto the campus. IMPORTANT: Due to the subway extension project, some of the main arteries into York are under construction. Consider exiting Hwy. 400 on FINCH AVENUE and going EAST on Finch. Follow Finch to SENTINEL RD. Turn LEFT onto Sentinel and continue onto the campus. IMPORTANT: Due to the subway extension project some of the main arteries into York are under construction. Consider exiting Hwy. 400 on FINCH AVENUE and going EAST on Finch. Follow Finch to SENTINEL RD. Turn LEFT onto Sentinel and continue onto the campus. You are now on campus. See the campus map. We encourage you to take advantage of the Currency Exchange services at the Airport. They offer more convenient hours of operations and favourable exchange rates. You can take a taxi directly from the airport to the York University Keele Campus. A taxi from the airport to the University is approximately $50 Canadian. Please visit theToronto Pearson Ground Transportation website for ground transportation options between the Airport and the Hotel. An alternative option to get from the airport to the York University Keele Campus would be by public transit. Take the 58 Malton bus which serves from Terminal 3 (Arrivals Level), then Jetliner Road and Airport Road, also from Terminal 1 (Ground level) at Pearson Airport. Service operates specifically for this bus from approximately 5:00 AM until 1:00 AM. Take the 58 Malton bus an approximate 60 minute one-way travel time to Lawerence Ave. West Station. Once you have arrived at Lawerence Ave. West Station take the subway Northbound to Downview Station. You can take either the 106 or 196 buses which will take you directly to the York University Keele Campus.